Congratulations to Our Fulbright Finalists! 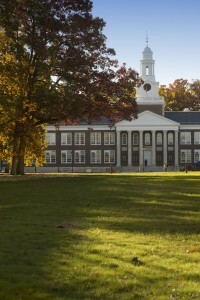 Established in 2001 as the School of Culture and Society and renamed in 2011, the School of Humanities and Social Sciences at The College of New Jersey comprises ten departments offering fourteen different majors and an array of minor programs as well as the largest share of the College’s Liberal Learning program. The School of Humanities and Social Sciences is a culturally and intellectually diverse and welcoming community of faculty, staff, students, and alumni who value knowledge and the free and responsible exchange of ideas. Grounded in the liberal arts, and focused on undergraduate programs and targeted graduate programs, HSS provides a personalized, collaborative, and rigorous education in the humanities and social sciences that engages students at the highest level both within and beyond the classroom, as well as within and beyond a single discipline. We in HSS believe in the transformative power of a liberal arts education to develop analytical, critical, and creative thinkers, conscientious and active global citizens, and lifelong learners and leaders. In addition to providing a liberal arts grounding for all TCNJ students, our school empowers our diverse students, staff, and faculty to succeed in the careers that they undertake and to sustain and enhance their communities both locally and globally. HSS offers a rigorous education in the humanities and social sciences within a dynamic, collaborative, and inclusive community of learners. Living TCNJ’s values of excellence, engagement, integrity, inclusiveness, and self-reflection, we will serve as a national exemplar of public higher education in the liberal arts with a commitment to accessibility and affordability. Review our Strategic Plan (approved June 2, 2017).